In our continuing effort to provide our customers with the most innovative and elegant transportation in the industry, Legend Limousines Inc is proud to announce that we have completed an over $80,000 restoration of one of the most extraordinary and unique Rolls Royce designs ever produced. The Air Conditioning is Ice Cold, and the paint, chrome, and wood are all FLAWLESS. Our 1955 Rolls Royce Silver Wraith with custom coachwork by Park Ward is a touring limousine Design No. 598. Only 14 cars were bodied to this design. The interior is original Connolly leather front and rear in gray with gray carpeting and the woodwork is walnut with zebra wood inlay. The electronically operated privacy division is fitted with occasional table and vanity mirrors to each side of a central cocktail cabinet all in walnut with zebrawood inlay. 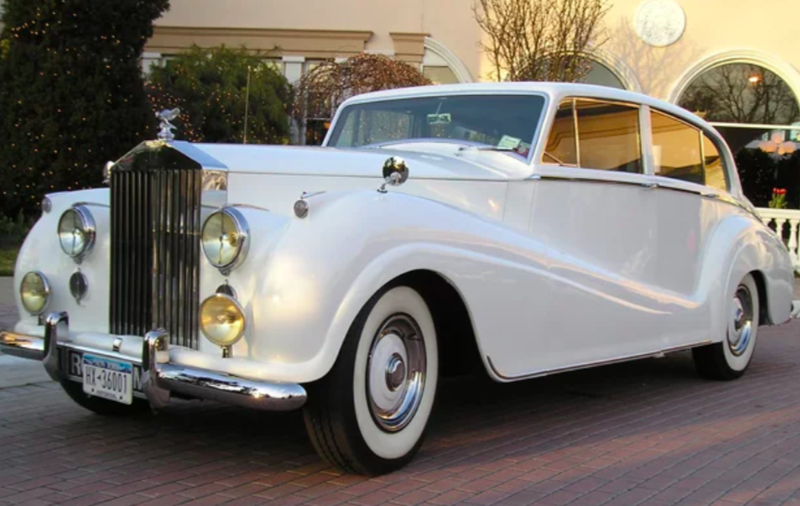 This car has a well-documented history and was featured on the cover of “Flying Lady” Magazine, the official publication of the Rolls Royce Owners Club. It was also featured in a two-page spread in “Flying Lady’ as well as on the cover for the “Atlantic Lady” publication and is featured in the “The Silver Wraith” by Bengt, Swensson, and Bradford Powers.